Throughout time, the Aegean Sea has played a major role in the lives of the inhabitants living near the shores. From the ancient port of Piraeus to the modern day cosmopolitan beach sprawl, there is no doubt about the importance of the sea to the Athenians. The Athens beaches start in Palaio Faliro and stretch all the way down to Cape Sounion. Year round, you will find seaside cafes full of people enjoying the view and 6 months of the year, dreaming of summer. Athens beach season usually starts in May and lasts well into October. During the weekend, in the peak summer months of July and August, it seems that the entire city is heading for the Athens coast. Astir Beach is the most expensive beach in Athens. But like with most things in life, you get what you pay for. Excellent customer service, great sun beds, and a pristine beach that is always clean and well maintained. 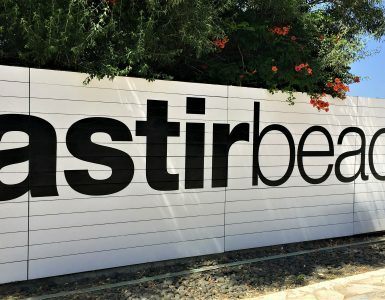 Astir Beach is located in Athens upscale Vouliagmeni district. Yabanaki Beach recently changed ownership and is now run by Varkiza Resort. 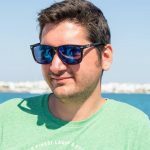 It’s located on the main beach of Varkiza and has easy access from the main coast road (Poseidonos) or via Attiki Odos (Highway). It’s a multiplex compound with many loads of activities, water sports, restaurants, cafe’s, so you wont get bored. Why we like it: Sunbeds are included in the price of entrance and the sandy beach is excellent. We like how shallow the beach is for the first ±20 meters, it makes it very safe for bringing small children. Bolivar Beach Bar sits on one end of the Ακτή του Ήλιου/Akti Tou Iliou beach in Alimos. If you are coming from the center of Athens, it is one of the first beaches you will see. It is a happening spot with a young vibe during the day and turns into a nightclub in the evening with major events. The tropical design and seclusion from the busy beach road, really makes you forget how close you are to the center of Athens (10km). The southernmost portion of Akti Tou Iliou beach, Akanthus beach’s entrance is located next to Nalu Cafe. Nalu’s hip vibe spills onto the beach at Akanthus. This beach is adjacent to Bolivar Beach. This is a great beach near the Athens center that has great music that plays throughout the day. And as the sun goes down, the venue transforms into one of Athens hottest night clubs. Address: Poseidonos Avenue 17455, Kalamaki. The Asteras Complex is an area located between Poseidonos Ave and the sea that contains different venues specialising in everything from morning coffee to late night partying. This beach is commonly referred to simply as ‘Balux’ because you enter through the Balux Cafe: House Project. A thick cushioned chair with an umbrella, centrally located near the bar and cafe. Once those fill up, there are metal and plastic chairs (some with umbrellas) surrounding the main area that are available. And when all of the chairs are full, you can select your very own special spot on the sand. Another Asteras Beach has an entrance a bit further back on the property. When you enter from Poseidonos, go left and follow signs to Balux Seaside. This area has a swimming pool and beach access. Balux Seaside Cafe offers food and drink service around the pool and beach area. 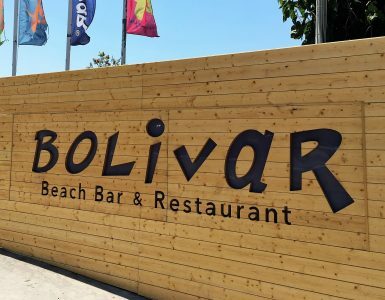 Kokomo Beach Bar & Restaurant is a great summer destination for those who are looking to get away from the hustle and bustle of Athens and experience that tropical island atmosphere. Kokomo offers wind surfing lessons, beach volley, shower and changing facilities. All that swimming and Volleyball get you hungry? They’ve got an Italian restaurant onsite – and according to the reviews on TripAdvisor it’s excellent. Last but not least – we’ve got to mention their party scene. Check their events page to see if a band you’re interested in is coming to their venue. It always fills up with crowds and the vibes are great. Check out the video below! Why we like it: It’s the best place on the Athens Coast to play beach volley ball and also a safe place to beach out at all day without worrying about what you’re going to eat thanks to their amazing Italian restaurant that’s embedded on their beach compound. We also like how easy it is to get to by Tram and its relative close proximity to Glyfada. The Blue Flag Vouliagmenis Akti beach is setup on an area of 76 acres along a 650 meter beach of and combines the blue sea with a refreshingly landscaped green space and is open all year long. What sets this apart from Astir Beach (just a half a kilometer away) are the assortment of activities you can partake in off water. From tennis courts, to volleyball, to basketball, to kid’s playgrounds, Vouliagmeni Akti’s got it all. 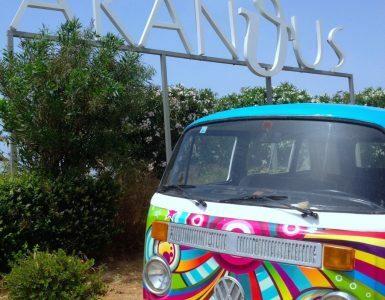 Address: Poseidonos Avenue Vouliagmenis, Beach A’ Bus Stop. Why we like it: It’s got 3 cafeterias, basketball, volleyball, tennis, and loads of high-quality wooden reclining sunbeds which rarely fill up. We also like the extensive free parking, and deeper waters and the amazing view of the Vouliagmeni bay. Kavouri (which means crab in Greek) is a beach studded peninsula that offers free beach fun for those that are willing to fight for a spot. It can get really busy! If you’re up for a scenic walk, we recommend walking down the entire length of it to take in the scenery as it really is quite majestic. If you’re not a fan of lying down on towels on bare sand, there are organised beaches on Kavouri that charge €3 per sunbed so that option is definitely there. Kavouri beach itself is 1.72km long, and some bits of it are sandy, while others are rather pebbly. It depends on what part of it you finally decide to park at. Note that there are many high end hotels nearby (like the Divani Palace) so this is a bonafide Athens beach holiday hotspot that is extremely popular with tourists and locals alike. If you’re hungry, there are a couple of trendy fish taverns you can grab a bite at. We recommend Garbi which specialises in seafood but don’t worry, if you don’t like fish they also serve pork, chicken, and beef alternatives. Not to be confused with Vouliagmeni Akti, the Vouliagmeni public beach is a popular spot along the broadway right across from Astir Beach. Don’t have €18 to spend for a sunbed at Astir? No problem. Lay out some towels and enjoy a 100% free beach experience on the Athens Coast’s most exclusive neighbourhood. It’s also a hot spot for surfers – especially in October/November. Why we like it: We love everything about the area. Vouliagmeni is simply stunning. And if you can enjoy a nice day on the beach without spending a single Euro, then that’s something you should be proud of! Yes, the sand and water quality are not ideal due to the fact that there’s a large marina directly next to it, but it’s not terrible either. Pro Tip: Don’t go to the first two beaches, walk away from the marina (northern direction) and check out the third free beach. It’s got better sand and cleaner water. 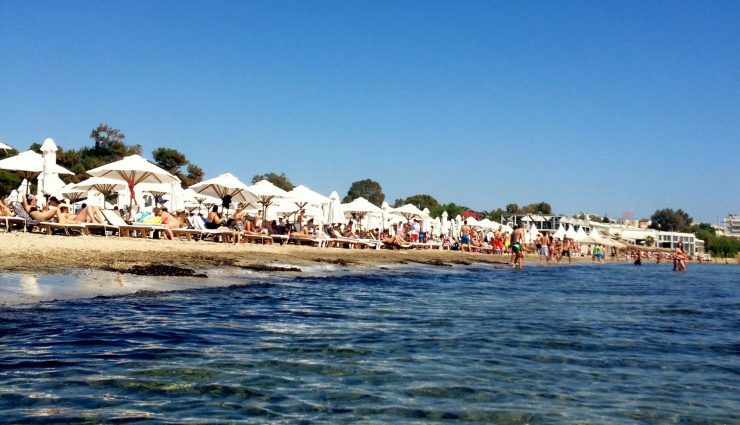 Why we like it: The Glyfada free beach is where we go after we’ve spent all of our money at Balux or Astir, but still require beach therapy to get through the week. It’s easy access on the Tram, and honestly not all that bad – especially if you head further towards Helliniko. Important tips you HAVE to know! In the summer, Sunday is beach day in Athens Greece. Hands down, no questions asked. People go early and stake their claim on their spot for the day. So if you stay out late on Saturday night and don’t make it to the beach until after noon, you may not be too happy with what is left. This being said, if you want to avoid the masses, hit the beach on a weekday. Prices for the private beaches are also usually lower during the week. You will find dozens of beautiful beaches along the Athens Coast that can compete fair and square with beaches you’ll find on the Greek islands, so have a look and decide which one is perfect for you! Just a dude trying to make a dollar out of 15 cents.